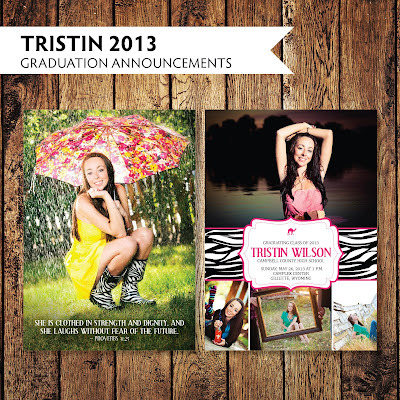 Last month I had the pleasure of working with a soon-to-be high school graduate on her graduation announcements. Tristin knew she wanted to incorporate pink and zebra print into her customized announcements. The beautiful photos were taken by the wonderfully talented Caiti of Caiti Jackson Photography, which made the announcements an easy design.